The first episode of “The Cosmos” covered briefly the life and martyrdom of Giordano Bruno. Firstly, if you are not you should be watching “The Cosmos” on Fox. Really good show. Secondly, in case you are not watching The Cosmos, I will explain who Giordano Bruno is. Giordano Bruno was, a friar who was involved as a monk for 11 years until he finally went on the lamb. He left because he supported the Copernican system of the solar system. The Copernican system states that the sun is the center of the solar system and was in direct conflict with the teachings of the church. Later in life Bruno was imprisoned tired and executed for not conforming to the dogma of the church. It seems from his letters and speeches that Bruno remained a believer and was doing his best to try and convince his fellow believers that god was far greater than they were giving god create for being. Bruno loved to read the forbidden texts of his time and looked for answers that the church had already deemed answered yet were not. The idea that the earth is the center of the solar system is scoffed at now, mostly because of the telescope, so how did this idea have so much traction that it disbelief in it could cause an execution? I really couldn’t tell you. There are parts of scripture in the Judea Christian faith that mention god making the sun stand still, what seems to me and you as literary devices have been interrupted into literal descriptions of the solar system. We would like to believe that this could never happen but currently it is happening. Yes that is right there are segments of the population who believe in a younger earth than the one scientists have estimated because of scriptures. Bruno was known for telling his fellow believers that there god was too small. That the god he worshiped was not confined to one solar system, that not only was the sun the center of our solar system but that there were also many other solar systems out there with other suns. Today I see the church and mainstream religion limiting god again and again. Not just with creationism but other debates as well. It is imperative to not limit god or our ourselves. Just look at how far man has come in his short existence here on earth. Now imagine how much further he will come and how much further he could be had it not been for events like the Roman Inquisition. We should always question try and prove. 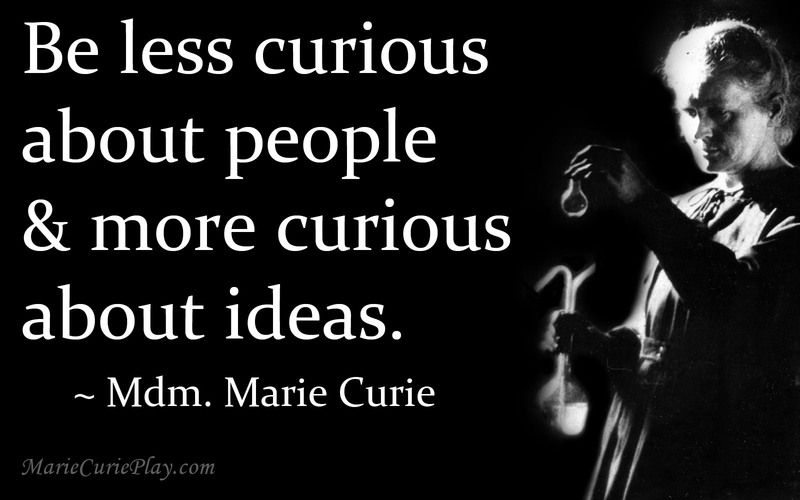 We should do this with respect and dignity I can’t help think that Madam Marie Curie had it right. Do not say that again!